The ad referred to Waubra wind farm, a development that has become the nexus of the wind turbine syndrome scare, as Sandi Keane reported in NM last year. It was placed in the paper by the “Western Plains Landscape Guardians,” then fronted by Peter Mitchell, a former director of oil and gas companies who found the views from his heritage-listed property near Ballarat threatened by a wind farm development. The low-frequency sound emissions of wind turbines — what called infrasound — have been measured by acousticians. These levels are no different to those found in urban environments. 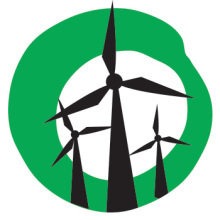 On reviewing the scientific literature, NSW Health, the Victorian Department of Health, theNational Health and Medical Research Council, the Association of Australian Acoustical Consultants, WorkSafe Victoria, Doctors for the Environment Australia, The Climate and Health Alliance and the Public Health Association of Australia all state that there is no evidence infrasound from wind farms can impact adversely on human physiology. Next Next post: Why are renewable energy projects being killed off by the Napthine govt?